We Talk Beatbox started just as a passion project and I was planning on keeping it at that. However, after doing my fair share of research, I realized that there wasn’t a blog online that extensively covered the awesome underground beatbox battling scene. It was my perfect opportunity to pounce, but truthfully, I was scared at first at how the community would respond and if anyone would be interested in actually reading my work. I was in for a pleasant surprise! There was no online community beyond Youtube videos and poorly moderated (and massively spammed) Facebook groups where beatboxers could come together and learn about the art form. As the scene begins to expand, there is a higher risk of the cultural roots and values dying out - and there was no one to stop it from happening. Beatboxers are more than gimmicky-noise makers, but artists who develop unique styles and want their voices to be heard. Beatboxing is not a party trick or a hobby, but an art form that brings an international community together through the universal language of music and self-expression. Beatboxers continuously crave more knowledge and new ways to connect, where resources to increase their knowledge of the art is very minimal. Building a community, creating conversation, and preserving the beatbox culture is a service that the scene truly covets. We Talk Beatbox stands as the cultural gatekeeper of beatbox and acts as the collective voice of the community. I chose the name "We Talk Beatbox" because this project was about pushing the art to new boundaries, together as a united family. Having "we" in the title furthers this notion while the phrase itself is catchy and rolls off the tongue! Our voice is to remain professional and educated, but also genuine and respectful of everyone's opinions. We do our best to make sure every voice is heard and all talent is appreciated. 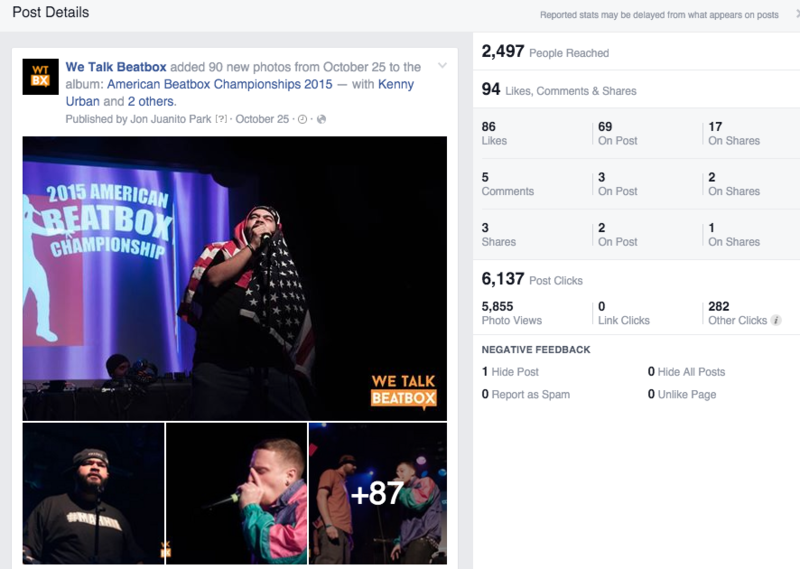 We Talk Beatbox is a blog, Facebook discussion group, and Youtube channel that creates content that generates discussion and unites the community. We produce analyses, share stories, compile roundups, and promote major events around the world. We also build integral relationships and partnerships with other brands, artists, and Youtube channels in the community by sharing my digital marketing experience and consulting content production to ultimately push the scene forward. Started by researching other blogs about beatboxing longtail keywords about the scene. None? We're good to go!